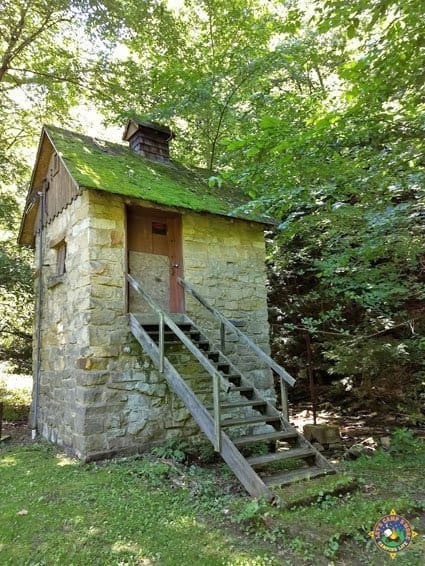 Visit Tomlinson Run State Park, which is located at the very tippy top of West Virginia. Tomlinson Run State Park is a beautiful natural area located North of Weirton. The park has hiking, biking, fishing, and camping. 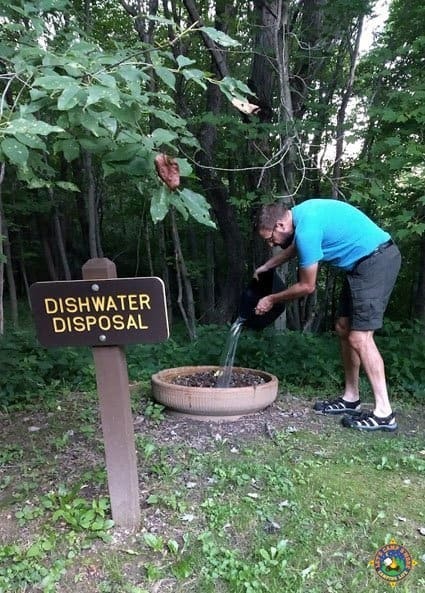 There is also a swimming pool, disc golf, mini golf, and boat rentals. There are numerous shelters located throughout the part that can be reserved for use. 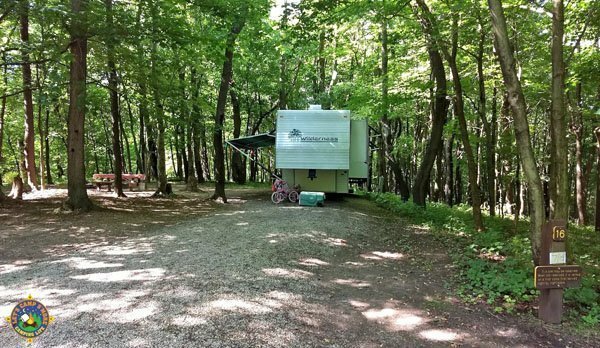 Tomlinson Run has a campground featuring 55 campsites, 39 of which have electrical hook-ups. 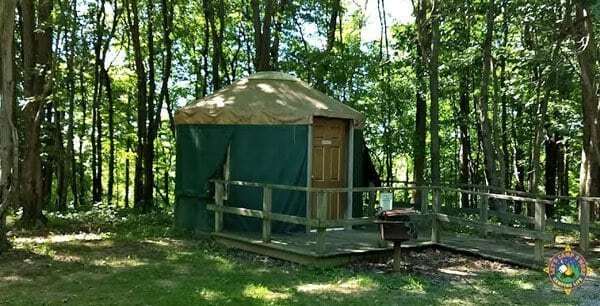 The campground also has yurts and camping cabins that can be reserved. The campground features two areas along a ridge. Each site has a picnic table, a lantern pole, and fire ring. We camped in site 12, which was decent. 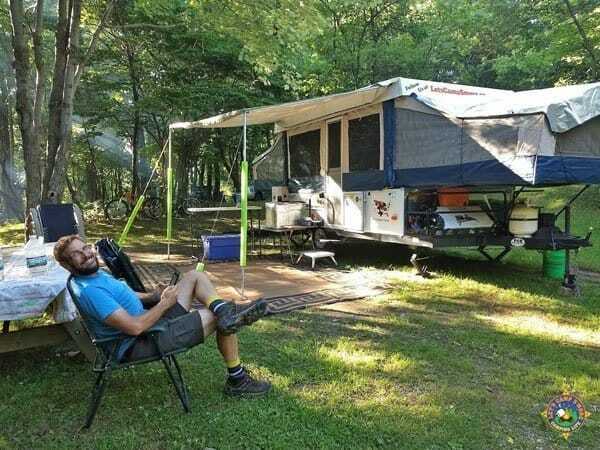 We walked around the campground several times and determined that site 16 is the best. 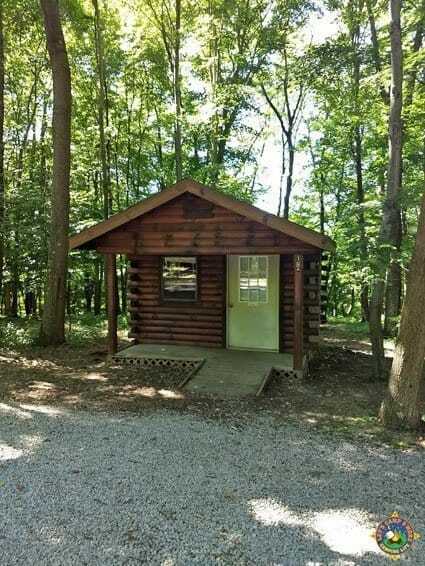 It is a large site with a great view of the surrounding woods. There is a bathhouse with showers in each camping area. They are old, but functional. The campground office handles check-in, a camp store, and ice & firewood purchase. They will deliver firewood to your site. We found the people in an around the campground to be very friendly. 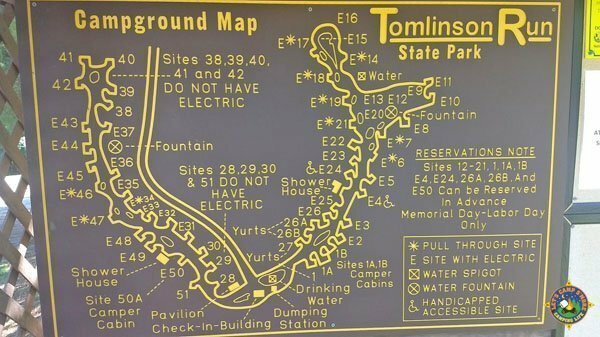 This is how we discovered the Tomlinson Run State Park Foundation. A group of area volunteers run the Tomlinson Run State Park Foundation. This dedicated group of people have really done a lot for the park. See our video interview with Connie, who is in charge of the foundation, here. Over the years, they have held several fundraisers to raise the funds needed to update several areas of the park. They also host several community outreach activities for area families. 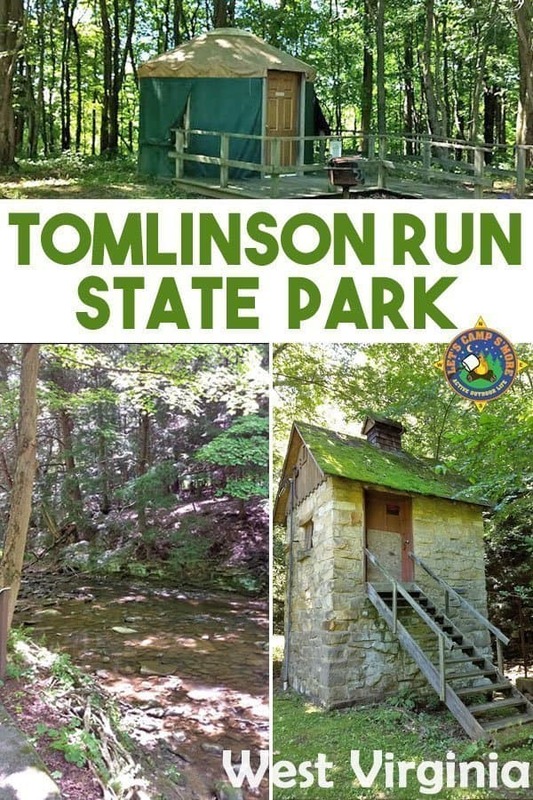 You can learn more about what the Tomlinson Run State Park foundation has done and learn how to get involved here. 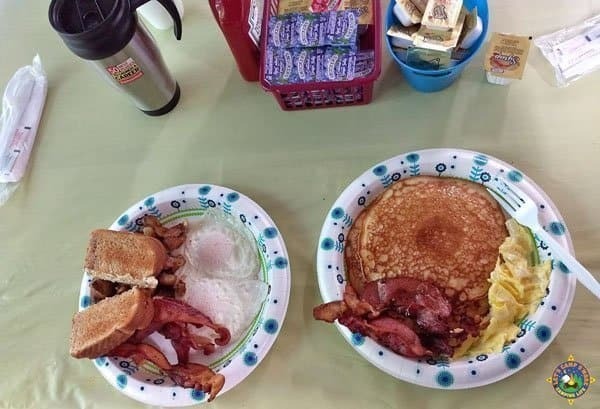 One of the most popular activities is the Breakfast at the Campgound, which takes place each weekend from late May into September. This made to order breakfast is delicious and affordable. People from all over the region come out to eat. Check out this video interview with Ronda about the breakfast. They also hold regular activities like wagon rides through the campground on Saturday nights. Rides are followed by a free movie each week. They also host Christmas in July and Halloween camping events. We really enjoyed our weekend at Tomlinson Run. 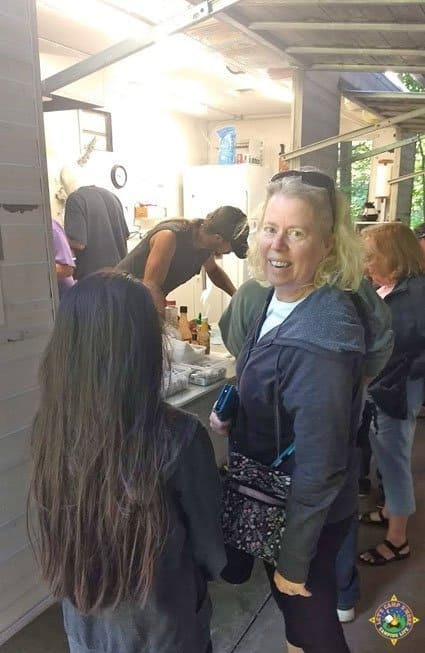 This visit was part of our Summer 2018 trip, in which we also visited Ohiopyle State Park in PA and Hocking Hills State Park in OH. 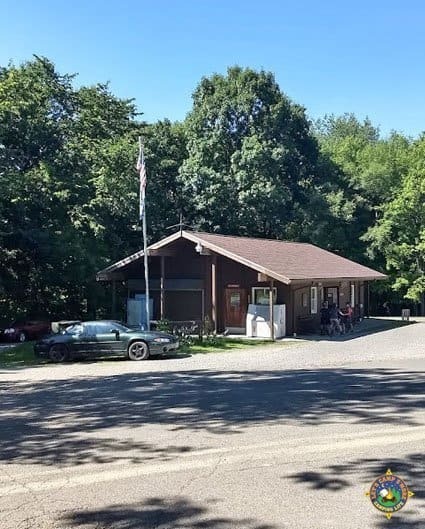 If you find yourself in the area, you should check out the breakfast or camp there.